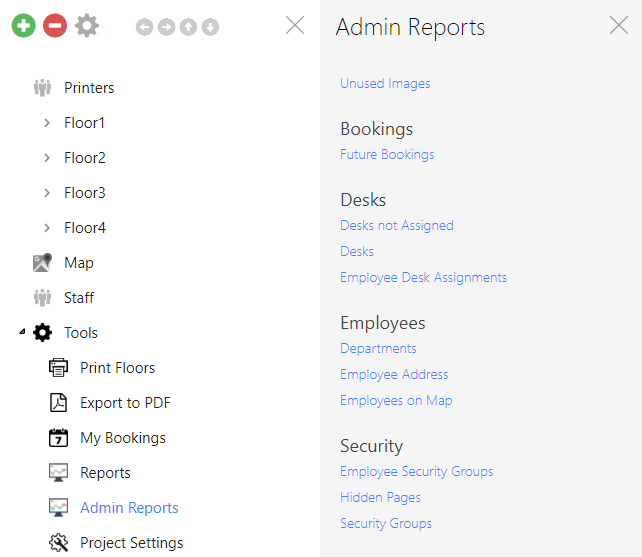 Some reports are included by default in StaffMap, and available for viewing by users and administrators. If default field names are changed, these reports may need to be modified. The reports can also be removed entirely, and new reports can be added. The reports can be modified in two different folders in a default installation. Directories within those folders will function as different headings in the report selecting pane. The reports are .rpt files that can be opened in text editors such as Notepad and Notepad++. Report files follow a standard format with an SQL query on the first line of the file, with no line breaks, followed by styling (if necessary).